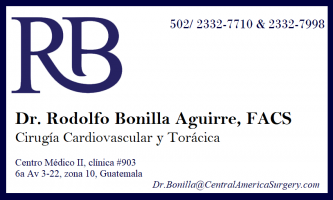 Dr. Rodolfo Bonilla is one of the most well-respected cardiothoracic surgeons in Guatemala, with over 30 years of experience performing thousands of cardiac procedures, from angioplasties to CABG, or coronary artery by-pass grafts. When life-threatening blockages inhibit blood flow, and medications are no longer working, sometimes patients need to rely on a cardio-thoracic procedure to restore their quality of life. Wise patients will trust their successful outcome to only the best providers possible. Dr. Bonilla’s schedule is filled with about 35 heart surgeries every month, usually coronary by-pass or valve replacement and repair. He performs minimally invasive aortic valve replacement procedures, which are done with smaller incisions, to give the patient a faster and easier recovery. 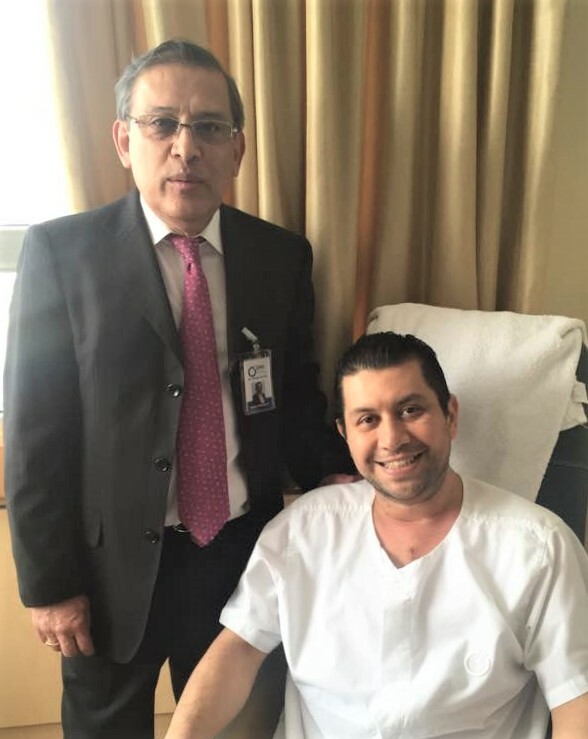 Dr. Bonilla has been a pioneer in Guatemala in the new technique of “Off-Pump Coronary Artery Bypass Surgery” (OPCAB), or surgery on a beating heart, as lead surgeon during the first 64 of such operations. More than 70% of all heart surgeries occur on a still heart attached to a heart-lung machine, but the new method offers superior safety and recovery success, and is proven to reduce side-effects. 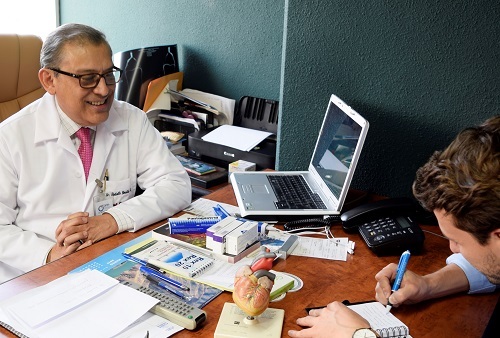 “Heart disease does not affect only the elderly, as we see more and more young people in their 30’s and 40’s requiring coronary procedures.” says Dr Bonilla. He notes the factors that contribute to illness as smoking, eating fast food, having diabetes, and not eating healthy or getting regular check-ups. A diet with plenty of fiber, vegetables, and fats from grains, nuts and avocado will reduce inflammation and cholesterol deposits. 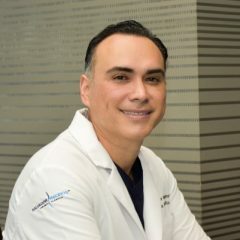 Dr. Bonilla stays current by reading the Journal of Thoracic and Cardiovascular Surgery a United States publication offering the latest information in techniques and training to cardio-vascular specialists around the world. 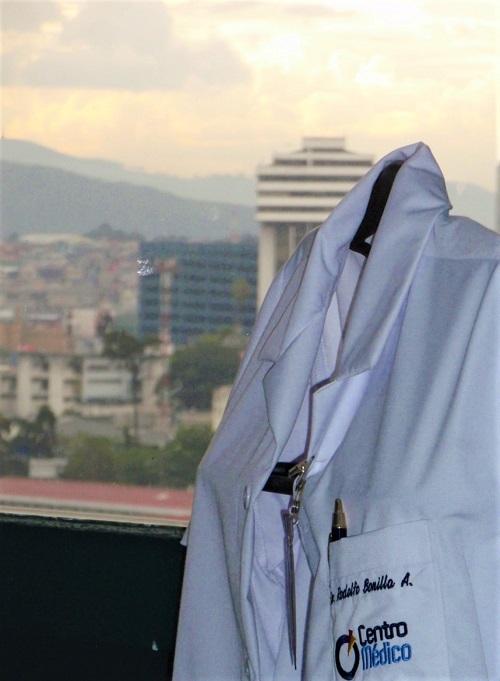 The research articles help him to stay current with the techniques that might offer increased safety and success for his own patients in Guatemala. Twice per year, the doctor also attends seminars and conventions in the United States and Europe to stay abreast of the latest technological advancements. Apart from patient obligations, Dr. Bonilla enjoys conducting classes for surgical residents at the university teaching hospital, igniting lively conversation and medical debates. The doctor also mentions a passion for photography, to appreciate and capture the form, function and beauty of nature, as well as the human body. Patients of Dr. Bonilla always appreciate the comfort of having an open and trusting personal relationship with the doctor. 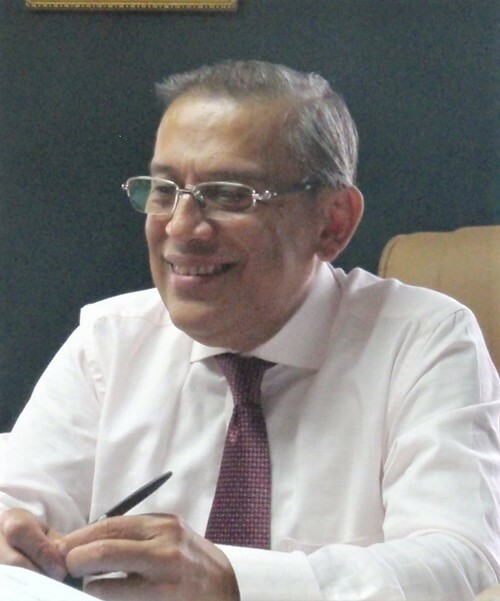 He makes it a priority to be sure that patients are well-informed, comprehending all aspects of the procedure and post-operative recommendations to improve their quality of life for years to come. Dr. Bonilla feels that serious devotion to medical technology, plus sincere human warmth allows him to give the first-class service and respect that his patients deserve. Sit quietly, breathe deeply, meditate inward, and appreciate the rhythm of your heartbeat. The thumping sound you hear is the mitral and aortic valves of your heart opening and closing to allow your blood to flow like a river of healing energy. Every day, the heart pumps about 2,000 gallons, or 7,500 liters, of blood through these chambers, then throughout 60,000 miles of blood vessels. The heart beats about 100,000 times per day to supply all 75 trillion cells in the body with freshly oxygenated blood. Four heart chambers work in unison: two atria, or “entrance halls” in Latin, and two ventricles, meaning “little belly” or “panza chica”, below them. The heart’s contractions force blood through the three leaflets of the aortic valve to the body’s primary artery, the aorta. More importantly, the leaflets snap shut to block a leakage of blood back into the left ventricle. Delicate valves can suffer from stenosis, becoming blocked by calcification or hardening, so that they constrict the blood flow. Others become floppy and inefficient, allowing for regurgitation, typically known as a “leaky heart valve”. Replacement aortic heart valves could be mechanical, made from incredibly durable substances that can exist within the body without infection. Bioprosthetics are biological valve replacements, made from tissue from the patient or a donor. Our day starts early at UNICAR Cardiac Surgery Hospital in Guatemala City. By 7:00 am, today’s patient is calm and prepared, ready to undergo open heart surgery, an aortic valve replacement. The operating room, or “theatre” to our British friends, is exactly that. As with any major production, a crucial part of a live performance happens behind the scenes. Skilled and devoted technicians prepare every tiny detail of the setting, to assure an absolutely flawless performance. 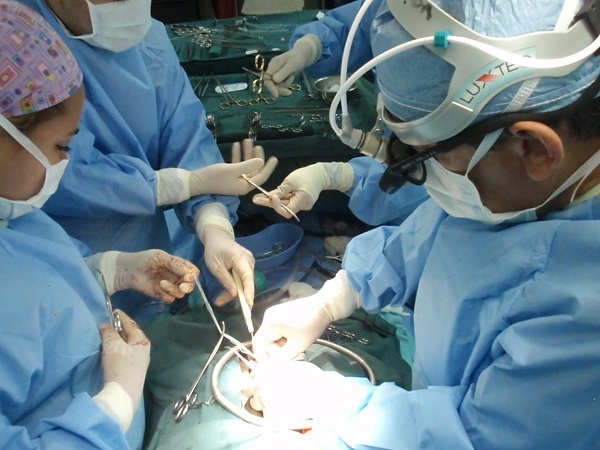 Wardrobe has selected a sea of blue surgical garments from head to toe, the only exception being the frame of the patient’s chest, at center stage. Lighting design includes huge disks, with specialized O.R. bulbs, which drop from the ceiling to illuminate the scene, because we wouldn’t want to miss a thing. Entering stage left, the surgical staff interacts seamlessly, with respect and affection, like a tight-knit cast who have been rehearsing their lines together for many years. The doctors’ iPod choice for today’s procedure is Brazilian jazz, Spanish guitars, and “Imagine” by John Lennon. In the opening scene, Dra. 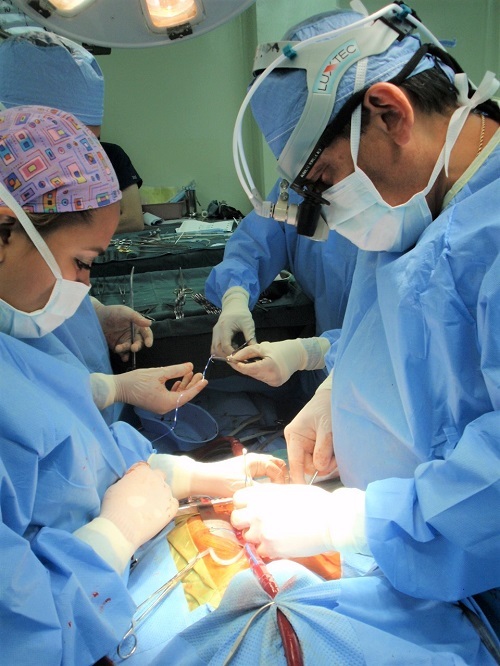 Carolina Gallardo administers the anesthesia, and Dr. Jose Morales, the cardiovascular perfusionist, prepares the cardiopulmonary bypass machine to take over the patient’s circulation during the operation. For more than an hour, cardiac surgeon Dra. Sandra Dominguez and her assistant prepare the chest cavity and open the pericardium. 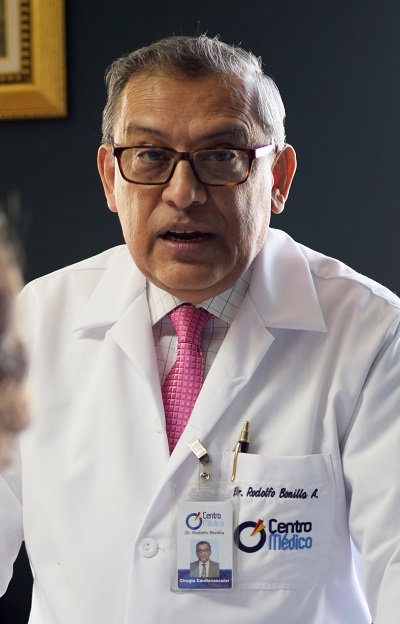 Enter our star and director, cardiothoracic surgeon, Dr. Rodolfo Bonilla, with over 25 years of experience performing thousands of cardiac procedures, from angioplasties to CABG, or coronary artery bypass grafts. In this role, the script requires Dr. Bonilla to stop the heart from beating, redirect the blood to the heart-lung machine, remove and replace the faulty heart valve, and then resume blood flow and normal heart rhythm. Every sixty seconds, five liters of blood flow over valves that open and close 70 to 80 times, but the doctors and their assistants need to work on a calm heart, with neither fluids nor motion. They must divert the blood to a desk-sized heart-lung machine filled with oxygenators, filters, gauges, pumps, reservoirs, tubes, plugs and clamps. It’s astounding to contemplate the miraculous efficiency and reliability of our little 11-oz heart, squeezing and sucking, opening and closing, doing exactly the same thing for 24 hours every day of our lives. Four hours later, the delicate surgery is a brilliant success, worthy of the highest critical acclaim. But we hear neither applause nor ovation. Dr. Bonilla and his cardiac surgery team will repeat this procedure tomorrow, and the next day too, just as they have done together for years. This real-life drama does not end with a curtain closing, but with a following act, appreciating every day that our hearts continue to be active, healthy and rhythmic. Imagine. It’s important to note that some people experience no symptoms, not even a tiny heart murmur, and still live with the threat of severe aortic valve disease. Without timely surgical intervention, a patient could experience major complications, like an enlarged heart muscle, potentially leading to congestive heart failure. If your doctor recommends a heart valve replacement, be sure to investigate the level of insurance coverage you can depend on, because without financial assistance, prices for open heart surgery can exceed $200,000 in the United States. 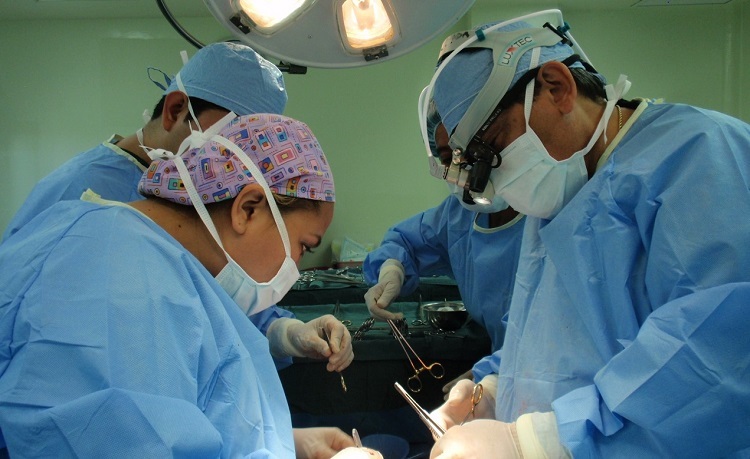 In Guatemala, you can depend on medical providers with the same surgical skills and technology as the best hospitals worldwide. This superior medical attention, plus VIP personal care with your medical advocate, will likely cost you less than $25,000. Breathe deeply, consider carefully and follow your heart. · Every day, the heart creates enough energy to drive a truck 20 miles. In a lifetime, that is equivalent to driving to the moon and back. · When the body is at rest, it takes only six seconds for the blood to go from the heart to the lungs and back, only eight seconds for it to go the brain and back, and only 16 seconds for it to reach the toes and travel all the way back to the heart. · A kitchen faucet would need to be turned on all the way for at least 45 years to equal the amount of blood pumped by the heart in an average lifetime. · Five percent of blood supplies the heart, 15-20% goes to the brain and central nervous system, and 22% goes to the kidneys. · In 1929, German surgeon Werner Forssmann (1904-1979) examined the inside of his own heart by threading a catheter into his arm vein and pushing it 20 inches and into his heart, inventing cardiac catheterization, which is now a common procedure. 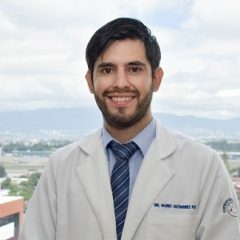 “Revascularización Coronaria sin Circulación Extracorpórea unidad de Cirugía Cardiovascular “UNICAR” Guatemala C.A.” By Dr Rodolfo Bonilla, FACS et al. 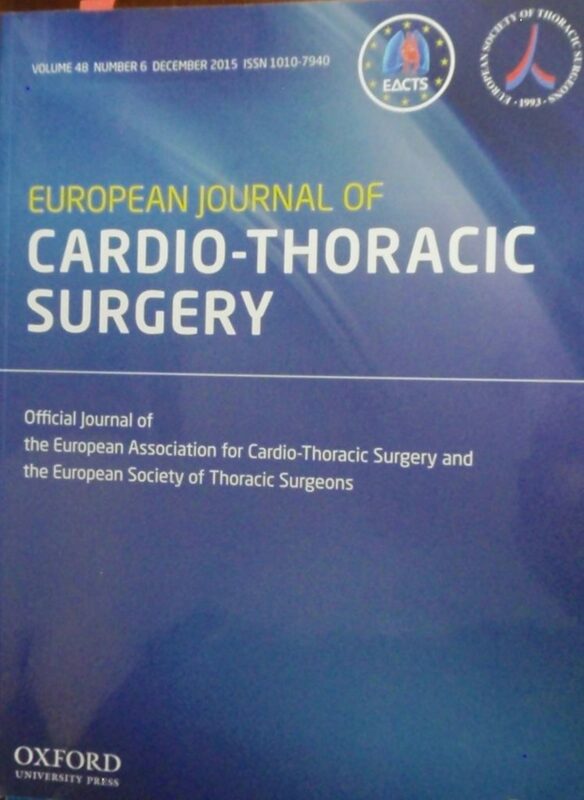 Published in European Journal of Cardio-Thoracic surgery, December 2015. Come back soon to read more articles by or about the Doctor. Dr. Bonilla takes a special interest in knowing all the latest advances in Endovascular Aortic Repair (EVAR). Damage to the aorta, by aneurysm or dissection, can often be repaired by placement of a mesh tube or stent) inside the vessel. In this minimally invasive procedure, Dr. Bonilla guides the folded-up stent through the blood vessels to the site of the damage. The stent then pops open and is secured against the aorta to provide a reinforcing liner. This fixes the aorta from the inside out (endovascular) rather than the outside in (open surgery). This procedure is sometimes called Thoracic EVAR, or TEVAR. From the moment I met Dr. Bonilla I felt confident. He told me about the best heart surgery hospital, and all about his team. 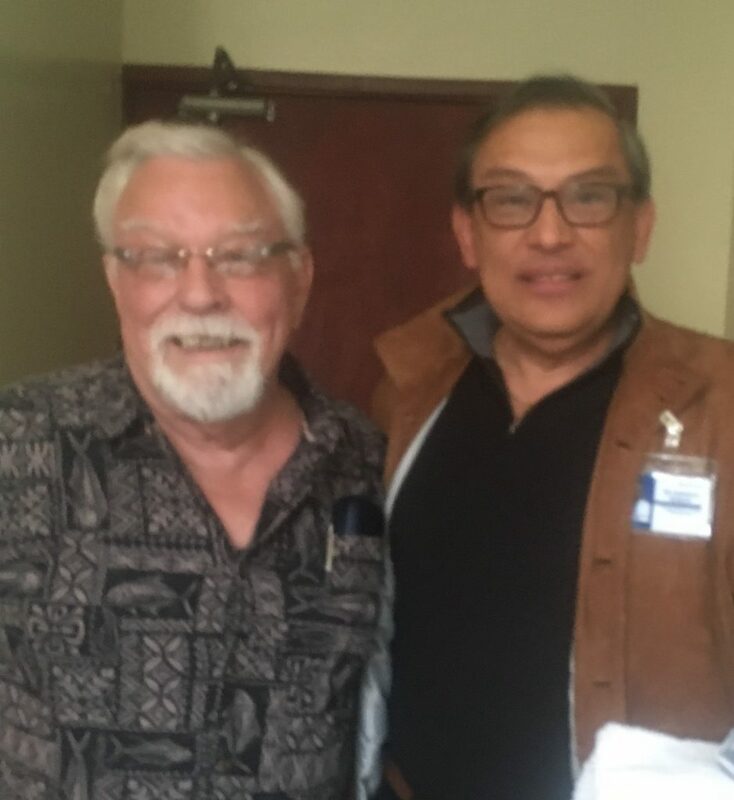 Learning more about him from my cardiologist, Dr. Rodas Diaz, and CentralAmericaSurgery.com website, gave me complete confidence in his skills. On the day of the surgery he met with us in my room and then outside the operating room, explaining what would be happening next and how long it was likely to take. When I came out of the operating room, he was right there with me, and I knew instinctively that good work had been done. Dr. Bonilla and his team checked on me hourly in intensive are for the six days I was there. Recovery was as expected, and I feel that I have 20 more years of life to add to my 78 years! 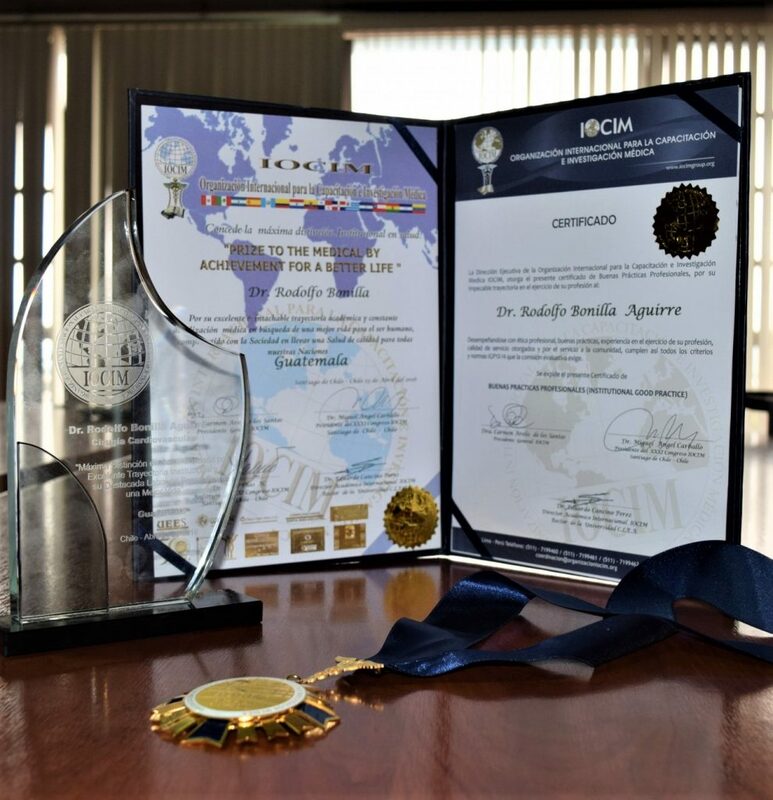 Dr Bonilla has given back to the community by performing several surgeries for people in need over the years. 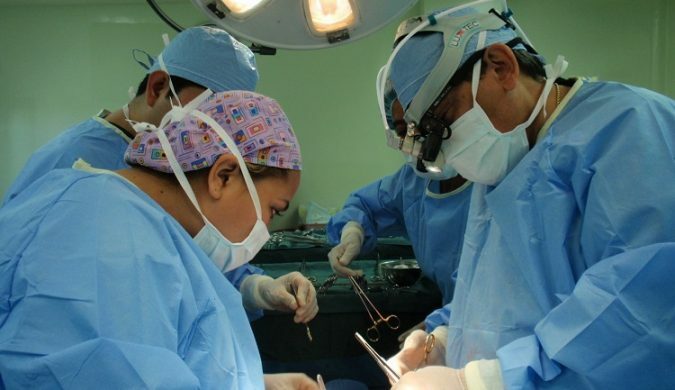 Several years ago, at the National Hospital of Zacapa, Guatemala, fourteen adolescents from poor households with no resources were waiting for heart surgeries. 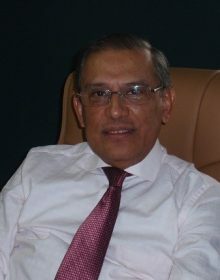 All of them were suffering from serious, life-threatening heart conditions, such as aortic coarctation, which happens when the main blood vessel of the heart to the organs narrows and does not allow blood to flow properly; interventricular communication, when there is a defect in the wall that divides the chambers of the heart; or alterations in the heart valves, Dr. Rodolfo Bonilla offered his surgical skills to correct the coronary defects so these young patients could go on to live a full life as they normally would. 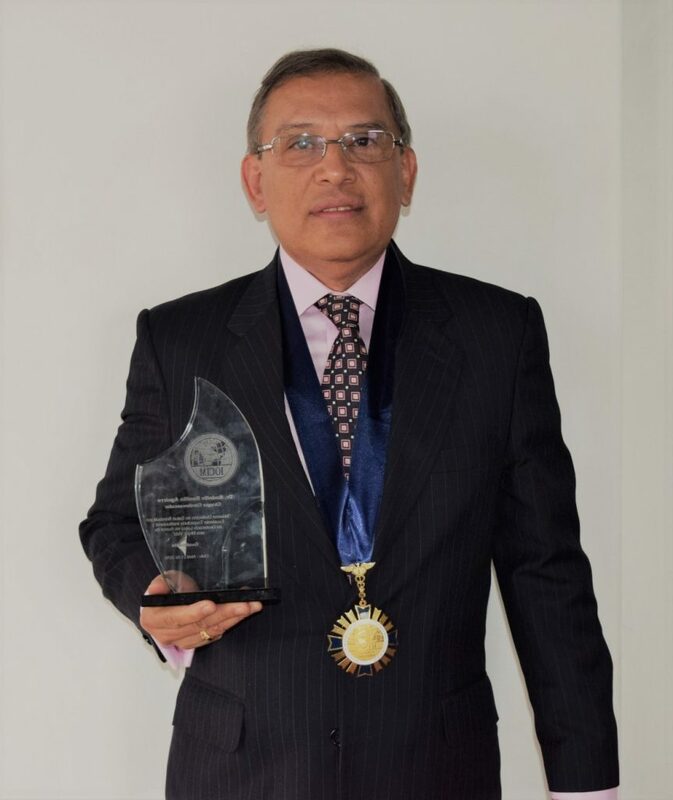 With great patience and generosity, he trained the local doctors in the most modern surgical methods, to perform the procedures and to implant pacemakers with the greatest chance for success. 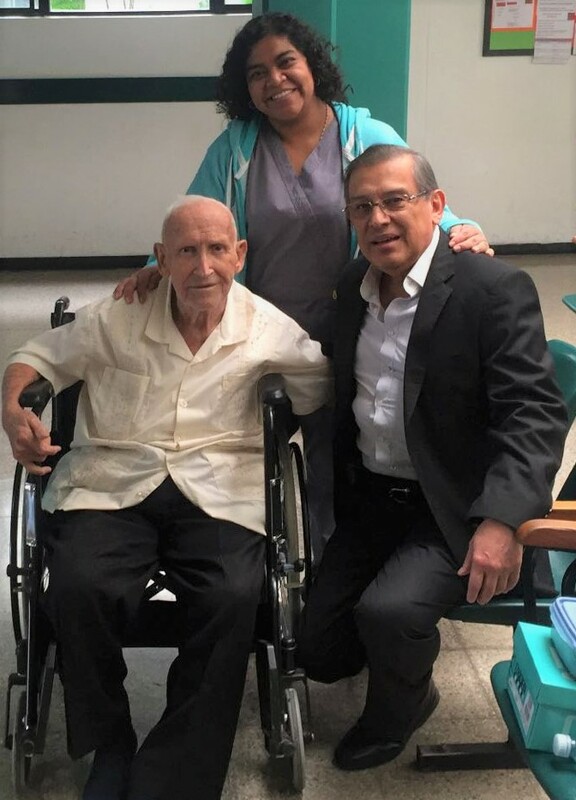 As a public service to benefit those in need, Dr. Bonilla was happy to offer his talents at no cost, to give a better chance in life to the youngsters who greatly appreciate his kindness. 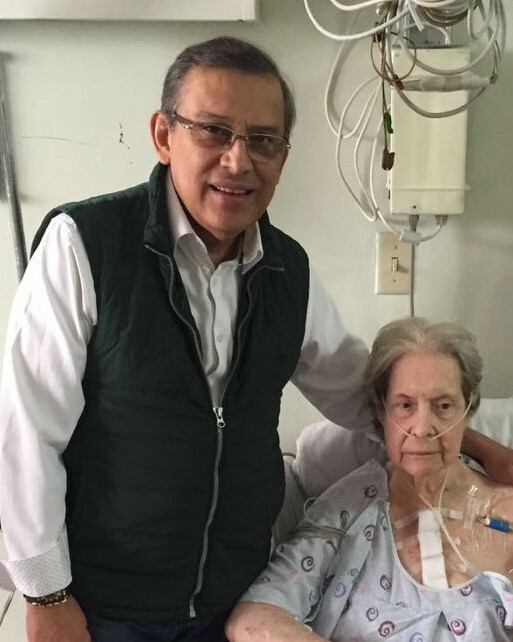 Dr. Bonilla was presented with the case of an 86-year-old woman with several heart deficiencies that required surgical intervention. 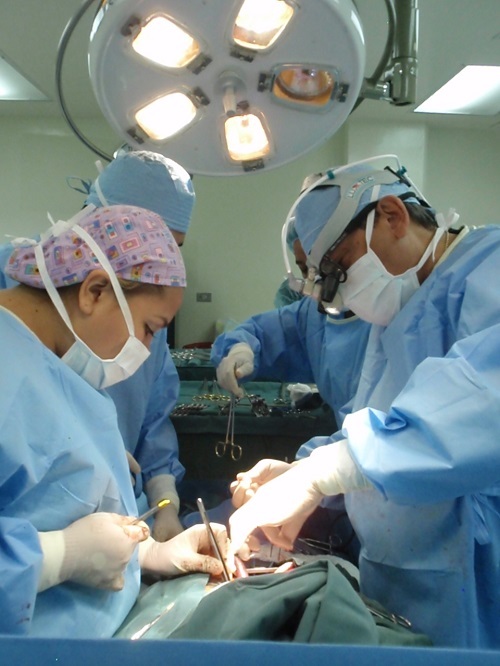 The surgeon faced various options with consideration to the patient’s ability to endure one multi-faceted surgery or three separate procedures. There are substantial risks involved with a patient of that age and condition. 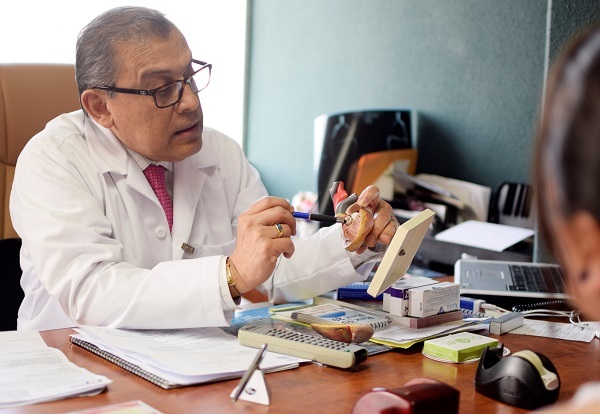 After careful and agonizing deliberation, Dr. Bonilla made a plan to carry out the by-pass surgery and valve replacement, and then to place a pacemaker. Due to the doctor’s extensive experience and precision accuracy, the surgery was a great success. Twelve days later, she was able to leave the hospital and live normally. 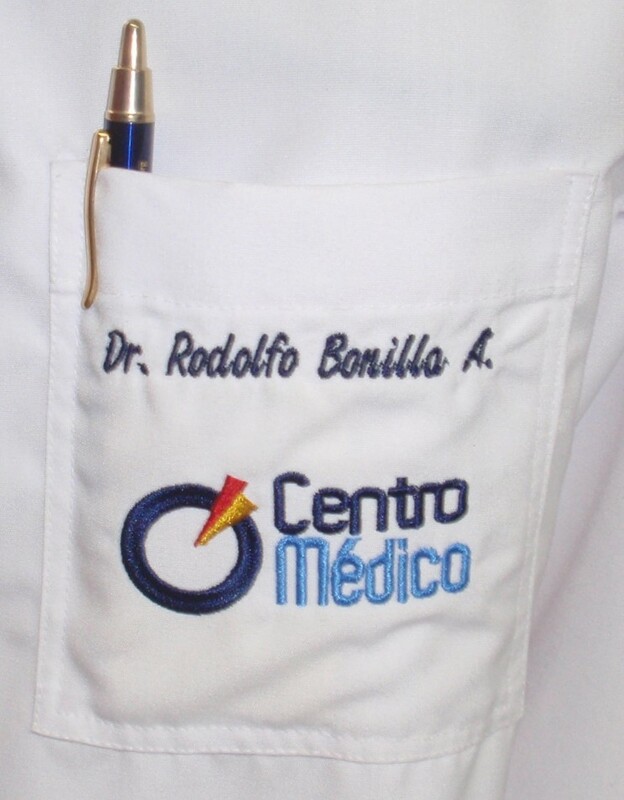 Hospital Centro Médico is located on 6th Avenue, just south of 2a Calle in zone 10. The emergency room is on the left/east side of the street, and Dr Bonilla’s medical clinic is in Centro Médico II on the right side of the street.